NOTE: Graphic ads should be submitted in EPS, AI or PDF format. There is also complimentary design help available should physician recruiters require assistance creating a simple ad. 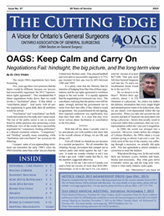 NOTE: Full issues are accessible to current OAGS members only.